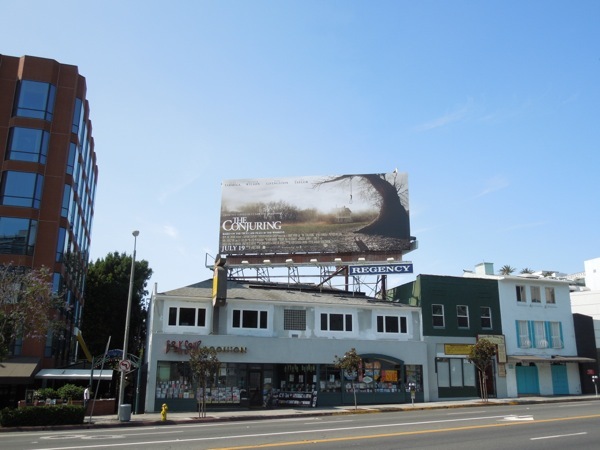 There's nothing like a hangman's noose in someone's backyard to signal something's up in a movie. 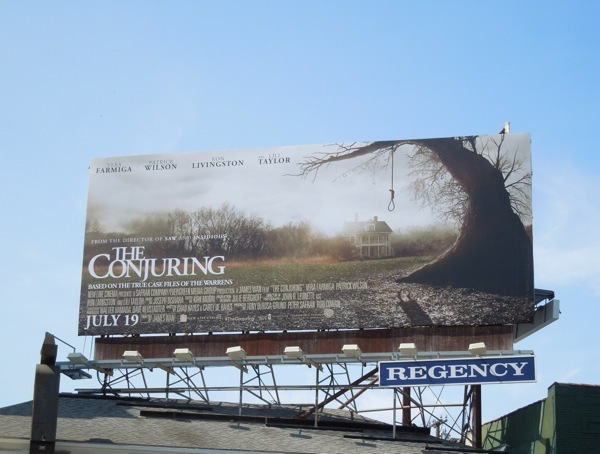 This eerie, misty scene is for the new supernatural horror film The Conjuring from James Wan, the director who brought you the likes of Saw and Insidious, and has been tapped to direct the seventh installment in the unstoppable Fast & Furious movie franchise. In the film, Insidious star Patrick Wilson and TV's Bates Motel psycho mother Vera Farmiga play real-life paranormal investigators 'Ed' and 'Lorraine Warren', who take on their most terrifying case ever when they come to the aid of the Perron family, who are being terrorised by a disturbing dark presence at their Rhode Island farmhouse. 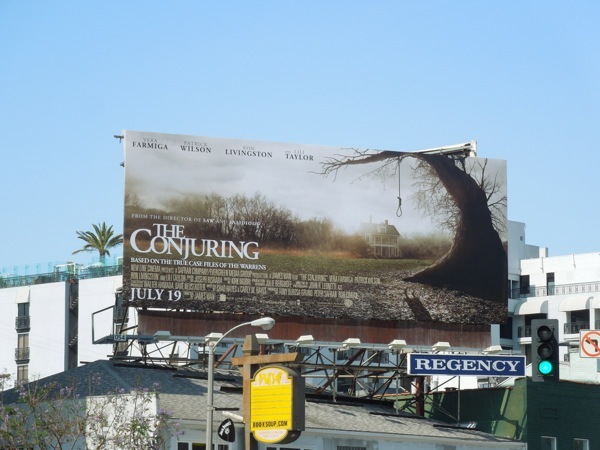 These creepy billboard creatives for The Conjuring were spied along Sunset Boulevard at Holloway Drive in West Hollywood on June 20, plus at Warner Bros. Studios in Burbank, California on July 3, 2013. 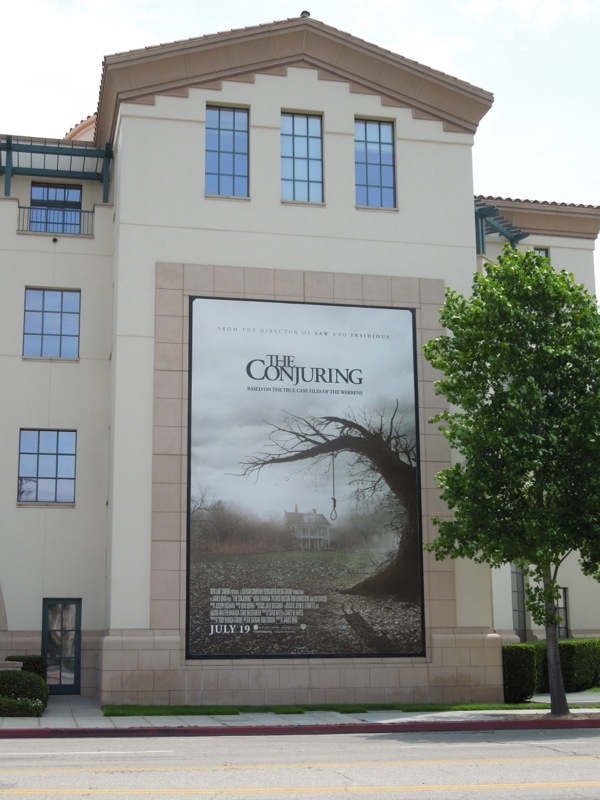 If you're a fan of scary movies and things that go bump in the night, be sure to also check out these other horror-themed billboards, plus take a look at these original screen-used film props from The Conjuring on display.